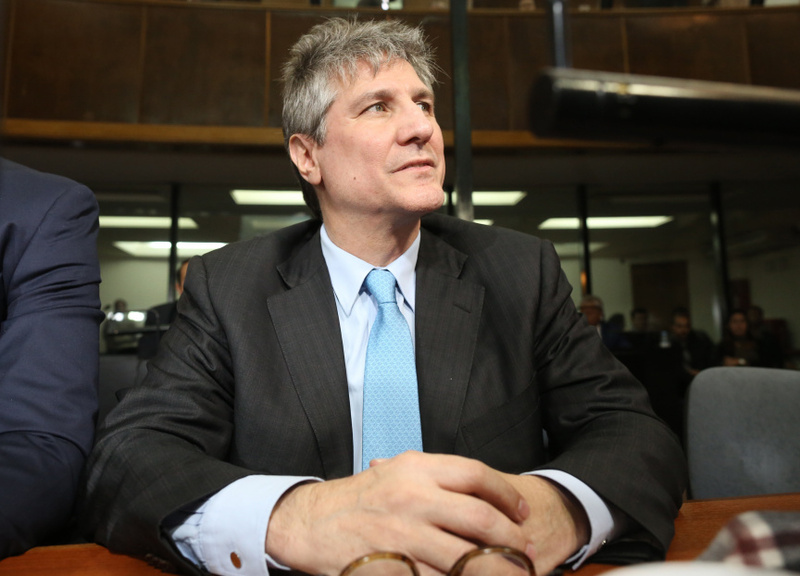 BUENOS AIRES, Argentina (AP) — A court in Argentina on Tuesday sentenced former Vice President Amado Boudou to five years and 10 months in prison for bribery and conducting business incompatible with public office. The decision is a hard fall from grace for Boudou, 55, who also served as economy minister during the 2007-2015 administration of President Cristina Fernandez, and who was the first sitting Argentine vice president to face such charges. The court also banned Bodou for life from elective office, fined him about $3,200 and ordered him to be immediately sent to a local jail. He denied any wrongdoing in court and dismissed the accusations as politically motivated. Five other people were sentenced Tuesday and the sentences can be appealed. The investigation was launched in 2012 following reports in the local press. Boudou was accused of using shell companies and secret middlemen to gain control of a company that was given contracts to print Argentine currency as well as material for Fernandez's election campaign. In a separate case, Boudou was arrested in early November 2017 on charges of money laundering and illicit association. He was released from jail in January after a court ruled that he was unlikely to interfere in the case against him, which was the original reason he was jailed pending trial. Last week, authorities carried out raids and arrested at least a dozen business leaders and former government officials, while a local judge called on Fernandez to testify Aug. 13. Some have compared it to "Operation Car Wash," the widespread corruption probe that has shaken Brazil's elite by uncovering billions of dollars in bribes and kickbacks and that has resulted in the jailing of many of its most powerful business leaders and former President Luiz Inacio Lula da Silva. Fernandez is currently a senator, a post that grants her immunity from prosecution. She has not spoken publicly since the scandal that was originally reported in the local press broke out. The former leader was indicted in 2016 and faces accusations in other cases involving alleged money laundering, possible illegal enrichment and fraud. She has denied wrongdoing.